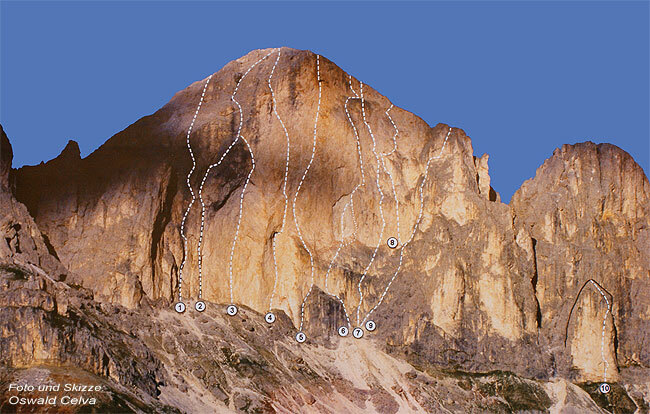 The west-face of the Roda di Vael is one of the most famous climbing destinations of the Dolomites and has always attracted famous Alpinists which opened new routes of all grades. Still today many climbers can be seen on the routes of the Roda di Vael. The Paolina hut is the ideal starting point for them.